AND YOU CAN BE PART OF THIS GREAT CALLING! There are new opportunities around the globe in previously closed countries thought impossible not long ago. Reach Beyond wants to reach those who don’t know Jesus Christ as Savior! The field is ready for harvest, will you be the worker sent into that field? Reach Beyond is seeking harvesters who are willing to make a minimum 2 year commitment through the Community Health Intercultural Learning Initiative (CHILI) to reach the lost for Christ in resistant areas of the world. Using community care and development to serve unreached areas, we want you to help us Reach Beyond! Through a 6 month hands-on training program based in our experienced field office in Shell Ecuador, Reach Beyond will train, encourage and equip you to go out to serve the Lord and communities in need of assistance. Applicants will be grouped together as teams to go out into the mission field together. These teams will train in Shell and be sent out with prayer and support. 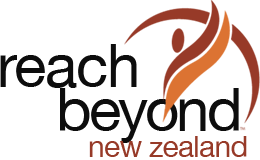 Throughout the 18 month placement in a second country, Reach Beyond will mentor and support you and your team. So whatever your vocation, if you have a passion to serve the Lord and reach out to the needy people of the world, this program is for you.